Diamond, Diamond Naturals, and Diamond Grain-Free pet food are all brands that make up Diamond Pet Food. 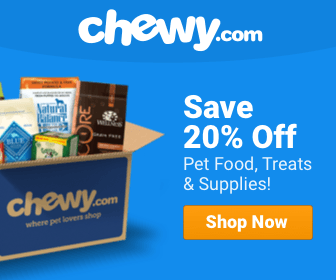 These foods provide a variety of different options to pet owners looking to feed their pet affordable but quality pet food. 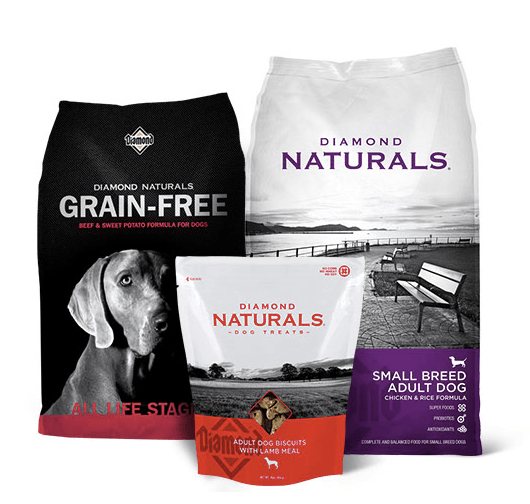 Diamond dog food in the Diamond Naturals line and other lines are produced by Diamond Pet Foods, which also produces a few other well-known pet food brands. This private company is family owned and produces at a number of manufacturing sites around the U.S. They have been around since 1970 and grown significantly since then. They do not manufacture any wet dog food. I would love to give this food a higher rating because of the Blue Diamond Dog Food ingredients, but the issue with many dogs getting sick and Blue Diamond Dog Food recall history makes me hesitant to recommend it without a warning. I recommend this food, but only if you are willing to regularly check the FDA website for recalls on this food. Read the recall section below for more information. The makeup of this food, for most foods in the line, are very good. The ingredients seem to be high quality, and there are not many controversial ingredients considering the price point of these foods. This is a very good thing to find. Another pro with this food is that many dogs love the taste of it. It also improves their coat very well, making it softer and shinier in dogs that the food agrees with. Because the food provides the needed amounts of Omega-6 and 3 fatty acids, they are getting a good balance of nutrients needed to have an energetic, healthy appearance. 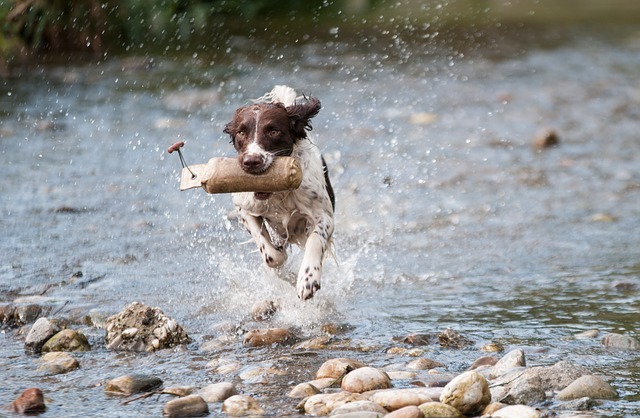 The food also contains chelated minerals for better absorption, which is great for pets. Many, many dog owners have expressed that they believe this food is causing problems with their pet throughout 2016. No official recall has been made, nor has the problem been associated with any one food. It is possible that the food is just disagreeing with the pet due to problems with the pet’s digestion, but it doesn’t look good. There are also positive reviews, but it is hard to say with any confidence that it is not the food. The manufacturing company has a long history of recalls, which is concerning. Another problem with this food is that it only contains meal as a protein source. “Meal” type meats are good to add to food, but as the main ingredient, it’s not great. There are also many carb-heavy foods, so this will cause problems for some dogs if they do not manage to absorb enough proteins from the food. The first few ingredients on this food include beef meal, peas, cracked barley, ground rice, chicken fat, fish meal, pea protein, dried beef pulp, and flaxseed. Some of these foods are great indicators for dogs, and others are so-so. Overall, though, the ingredients list makes it seem to be a quality food. 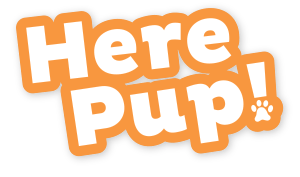 While there is not a fresh source of protein, beef meal, and fish meal will both provide decent amounts of anime-based protein for your pet. Other foods like peas and pea protein will provide plant-sourced proteins. These ingredients, as well as chicken fat, are all great to see. One concerning ingredient is ground rice, as it does not indicate what kind of rice this is, and it is quite possible that it is a mixture of brown and white rice. It would be better if Diamond clearly stated what kind of rice this is. Flaxseed is also used, which won’t be good for some pet owners. Overall, the food shows that it has high-quality ingredients and good levels of protein, fat, and carbohydrates. Any problems with this food do not come from the ingredient list of the food. Based solely on these ingredients, I would recommend the food. While there have not been any recent recall issuances, that does not mean that the food is harmless. Many people believe a recall should have been issued this past summer after many pets were sick, but there was not one. In 2012, the company had to issue six or more recalls. There have not been any publicly issued since then, but the company does not have a good track record. Most of the recalls were due to poor manufacturing conditions causing problems with the food, not the food itself. The recalls also affected other brands that the company packs in the facility that had issues. The company claims to run 151 quality tests now, but I am still wary. You can see that they have made promises before but have not always followed through. Overall, it’s hard to make a decision about this product. If you want to believe the ingredients and the label, then this is a great line of food. If you want to believe the Blue Diamond dog food reviews online, then this food is making many dogs very sick. There have not been any recalls for the foods lately, but due to the history of recalls because of bad manufacturing practices, I don’t have much confidence. Still, I did some more research and found that you can call Diamond Pet Foods and speak to their nutrition specialists to find out if the bath of dog food your pet is eating has made any other dogs sick if you find your dog isn’t feeling well. This will help you discover if it is the food or your pet’s ﻿﻿sensitive stomach. It would be better if that were not required, however. I would recommend this food for its ingredients but believe you should be wary of the production value this food manufacturing company has and take the bad reviews into consideration before purchasing.